There’s been a great disturbance in the force. Star Wars fans, followers, and people everywhere were hit by a train early Tuesday afternoon, as it was announced that legendary Star Wars actress and all around boss Carrie Fisher passed away at the age of 60. Over this past holiday weekend, we were all thrown for quite a loop when news broke that Fisher, who was on a plane traveling back home, suffered a major heart attack, putting her in critical condition. As all of us were scouring every piece of social media available for some kind of news, we got a tiny bit of relief in the hours following as Fisher went from critical to stable, which at the time was the sign we were all looking for, but ultimately turned out to be all our greatest fear. 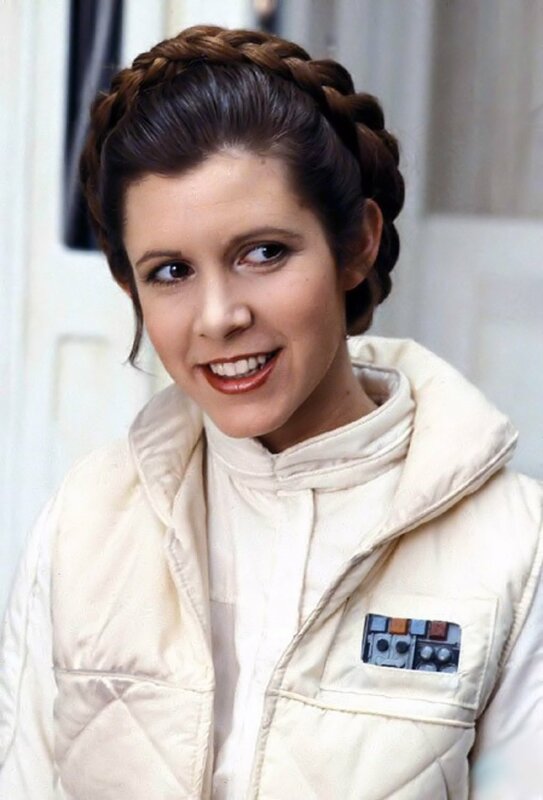 Although Fisher is undoubtedly known and will always be remembered for her time as the one and only true Princess, Leia Organa from the galaxy far, far away, she has crossed many milestones and taken up a number of different roles that will always be remembered in her lifetime. Such films as The Blues Brothers, The Burbs, and When Harry Met Sally… come to mind, as well as her appearances on multiple TV shows through the decades. And while she also became a powerhouse of a so-called “script doctor,” touching up such screenplays like Hook and The Wedding Singer (to just name a few), it was her career off the screen that had as much of an impact, possibly more. It’s no secret, following her time as everyone’s first major crush in the original Star Wars trilogy, Fisher went through years of not taking care of herself. Like I said, it was no secret as Fisher herself had come out and told everyone what she did and what she had been dealing with. But following her “rough patch” per say, rather than just clean herself up and move on, she took it as a sign, flipped it, and used it for the better. She became an activist, and a damn good one. She was fearless, and not afraid, She approached these extremely important causes head on, and did her absolute best to change the game. Mental issues like the bipolar disorder and depression, and others like drug addiction and alcohol. We had all of our questions ready. The ones about Darth Vader, Han Solo, and the greatest saga ever told. We had ones about the Blues Brothers, The Burbs, and, of course, I had several ready about When Harry Met Sally..When Harry Met Sally But a funny thing happened. The first question from the audience was from a young girl. She was battling depression and anxiety. Deep levels of it. And in a room full of a thousand strangers and cameras, she thanked Carrie Fisher for being so open with her struggles. Stated empathetically that she drew strength from her. It was a theme throughout the panel. Yes, she’s our Princess, and always will be. No one or thing can ever take that away from her, her family or us. She changed the game for female heroines going forward. She inspired so many women and young girls to go out and reach for the stars, literally. But, she was also so much more than a complete badass dressed in all white with the wackiest, yet sexiest hair you’ve ever seen. She chose to live her life a way that we all should. She has a left a mark that many of us can only dream of, because she decided to live her life a certain way and made sure that the impact she left, the huge impact that she left, was for the better and not the worse. She was an inspiration to us all. To me, she’s partly the reason why I’m doing what I’m doing. If you’re a follower of us here at Apocaflix!, you know that I’m Star Wars for life. It’s my all-time favorite franchise with The Empire Strikes Back being my all-time favorite movie. I love the family dynamic between Luke and Vader, seeing Han and Chewie tear up everything they go up against, the otherworldly feeling with its such creativity. But one major influence these movies have always had is its inspiring leaders. Luke and Han may be the favorites, but Princess Leia and what Carrie Fisher brought to her is a true role model. For me personally, she made me fall in love with movies so much that it put me on a path to writing and talking about them on a daily basis. Falling in love with not just Star Wars or other adventuring blockbusters, but all film because I understood its creativity. And a large part of that is without a doubt because of Carrie Fisher. Without Princess Leia Organa, there is no Star Wars. And without Star Wars, I wouldn’t have the love for movies as I do today. It’s a sad day in the galaxy, as we have lost one of the most special persons this life will ever see. The force has received a soul that will never, ever be forgotten. Not just for her time as our Princess or the activist that she was, but because of the passionate, fearless, intelligent, strong, inspiring, and just flat-out wonderful person that she was. You will be missed by us all Carrie, deeply. May the force be with you, always.